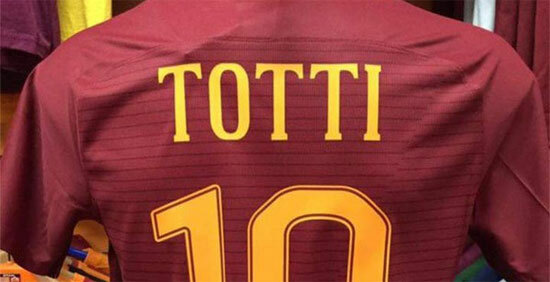 This is new font of AS Roma for season 2016/2017. Used for 2016/2017 season in all competitions. 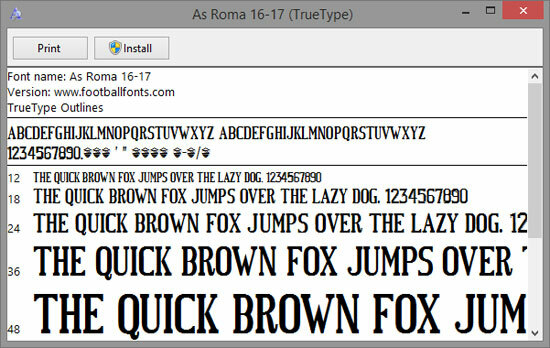 This font is available in TTF and OTF files. Compatible with Windows and Mac OS. TTF/OTF font is one-layer font. Easy to use with just typing on your keyboard. We have also provide vector number (svg and eps) as an option, which is the complete version of AS Roma Number with club’s logo in the bottom of each numbers (the ttf font couldn’t afford that details). You can open the vector with CorelDraw (recomended), Adobe Illustrator or other vector-based applications. Note: Make sure you have read description above, and understand the difference between ttf font and vector font, and know how to use those files.